Having gone to great lengths to circulate your job description, together with an explicit list of skills, experience and education requirements, the responses to your applications are now flooding in. You’re about to start interviewing for your potential new star. But hang on a moment, if you merely match standout CVs to the role, will you end up with the right person for your team? Many organisations now carry out a value-based interview (VBI) instead. Read on to find out what it is and how it can help you. During a VBI the candidate will be asked specific questions to discover truthfully if he or she holds values and enduring beliefs that match those of the organisation. For example, if your company champions collaboration, does your candidate enjoy working as part of a team? The individual may be super qualified and have bags of experience, but if they go against the grain of the company values, they’re not going to fit in and worse still might upset the apple cart for the existing team. Whereas a candidate who ticks the CV boxes and shows empathy to the organisational values looks a perfect fit. When should you conduct a value-based interview? VBIs are more common in some sectors than others. One finding it increasingly useful in the United Kingdom is healthcare, with health trusts or care-related charities concluding that they can only deliver their key value of exceptional care and support if staff are aligned to it. There’s no point going to work in a hospital if you’re not cut out for it, and VBIs, in this case, will ensure staff are hired who are less likely to leave soon after, thereby saving a fortune on staff attrition costs. What must a value-based interview achieve? Essentially, you’re trying to hire someone who’s an excellent fit for your organisation, someone who is going to settle in, align themselves with the ethos of the place and perform better because of it. And as we all know, performing better is good news for the business. In the case of a health trust, that means better care for patients, fulfilling its core value. And remember to pay attention. Cunning candidates are getting rather good at saying what they think you want to hear. In the case of a hospital, it might be quite easy to ramble on about a passion for caring for people. You could probably talk for two minutes about that right now. 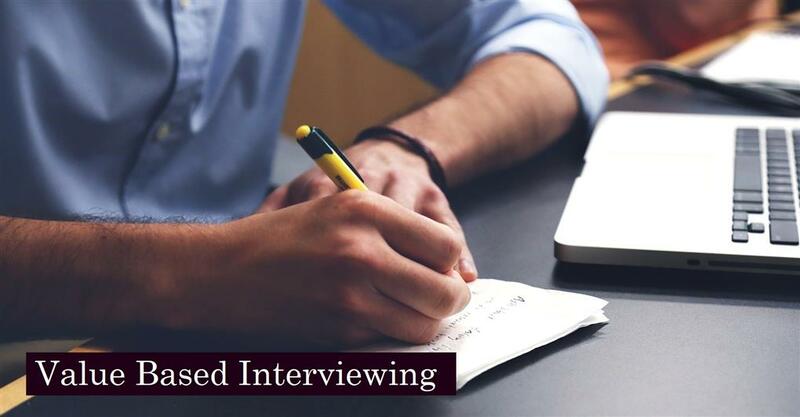 So, it’s up to the interviewer to probe deeper with follow-up questions that explore a candidate’s real background and values. a) Why does our company appeal to you? b) What are your own core values? c) What aspects of the role would you see as the least enjoyable for you? d) In your opinion, what would be the main rewards? e) What would you identify as the main challenges ahead? a) Tell us about a situation where it was important you worked as part of a team? b) If we spoke to those colleagues, what would they say about your role and performance in the project? c) In your view, what was the result of working together as a team? d) If the teamwork failed, why do you think that was? e) What makes a good team leader? a) Talk us through a situation where you were successful? Why do you think it was a success? b) Tell us about a mistake you’ve made? What did you do about it and what have you learnt from it? c) Do you welcome feedback, and how do you take it? d) Have you ever gone the extra mile to learn something new? e) What did you do when your boss gave you urgent work just before the end of the day? a) Not all tasks are fun. How do you motivate yourself during the tedious parts of the job? b) Have you had an experience of using your integrity? c) What drives you as a person? d) What qualities do you look for in a manager? e) What organisations do you support outside of work, and why? If you were to get through a decent selection of these in your value-based interview, together with probing follow-up questions, then you should be in a great position to understand the values and beliefs of the bright-eyed candidate sitting opposite you. What should be avoided in VBI interviews? Poor preparation! The skill of conducting a VBI is in the line of questioning, and the willingness of the questioner to dig deep. A laid-back approach will lead to ineffectual answers, defeating the whole object. If you’re working as part of a panel, ensure everyone involved is aware of the process and knows what they’ll be expected to ask. When designing questions, ensure that they don’t cross an ethical line. For instance, “What are the main lessons that you learned from your parents?” could be deemed unlawful on several levels (yet was a question recently asked by government interview panel). See illegal interview questions for more examples. Another critical thing to learn as an interviewer is to avoid asking hypothetical questions since these simply give the candidate a chance to spin a yarn. For example, don’t ask: “How would you deal with a conflict with a co-worker?” since this is not specific. The candidate could wax lyrical without answering truthfully. Whereas if you asked: “Tell me about a time you had a conflict with a colleague?” it is far more likely to elicit a truthful response. Finally, have structured scoring criteria so that you can assess ‘Candidate A’ against ‘Candidate B’ without bias. If more than one of you is conducting a VBI, then score independently and compare and contrast scores at the end of all the interviews to avoid ‘confirmation bias’ or ‘heuristics’. Should You Use a Telephone Interview? 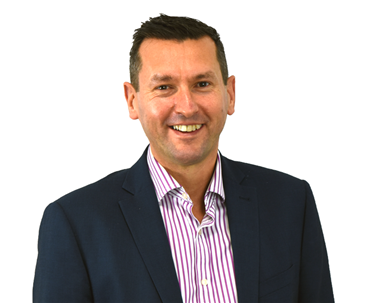 Finally, if you're an employer in need of support with your recruitment process, please get in touch with Aaron Wallis Sales Recruitment.